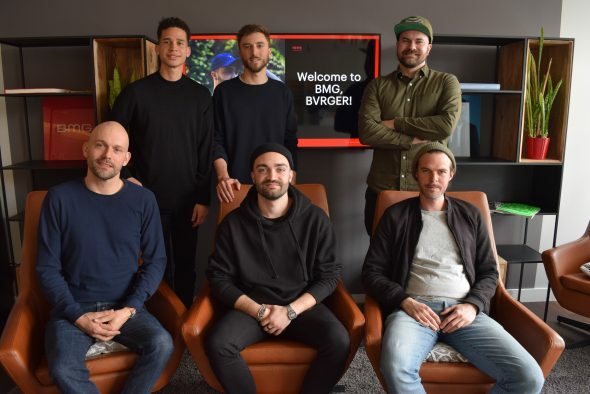 We’re more than proud to announce that the extraordinarily talented and super nice human being BVRGER has signed to the exclusive Starting Lineup x BMG publishing joint venture. The british/italian producer, songwriter and multi-instrumentalist who resides in Rome, is widely regarded as one of the most outstanding new artists in Europe. Starting Lineup CEO Markus Ernst states: “We’ve been in this business for quite a while now but I haven’t seen this level of versatility, credible creativity and well-rounded aesthetic in a young artist like BVRGER before. Knowing what kind of tricks he has up the sleeves, we’re super excited to see what he will achieve within the next years to come. It’s an honor to have him, his manager Marc Liebe and the Souluvmuziq family to start this journey with us and the BMG team.” BVRGER is mostly known for his 2016 NDYD release “The Cool Kids” but has been knocking out new material, great remixes and fresh productions nonstop ever since. After constantly working on new music and doing a ton of songwriting sessions in London, Rome, Berlin and Milano, BVRGER’s on the verge of becoming one of the most sought-after writers/producers of the near future.